Here’s how to incorporate them into your life. If you’re searching for an all-natural way to lift your mood, preserve muscle tone, and protect your brain against the decline that comes with aging, look no further than the closest mirror. And most of the time, they don’t require any fancy equipment or expensive classes. If you’ve recently considered beefing up your regular workout routine, you may have found yourself asking exactly how much exercise you should be doing to get results. Previous research has hinted that the magic starts to happen with 45-minute workouts. But there’s a growing body of evidence that the time you spend on a single workout matters less than the total time you spend at the gym over long periods. That means whether your latest workout was five or 50 minutes is less important than whether you manage to hit the track or pool regularly, or at least several times a week. A new review of nearly 100 well-designed studies published in May in the journal Neurology: Clinical Practice found that older folks who clocked in roughly 52 hours over six months doing things like walking, biking, or yoga — which breaks down to roughly 40 minutes of exercise three times a week — showed significant cognitive benefits over people who did less exercise or none at all. “This is evidence that you can actually turn back the clock of aging in your brain by adopting a regular exercise regimen,” Joyce Gomes-Osman, a rehabilitation scientist at the University of Miami’s Miller School of Medicine who led the study, told MedPage Today. Aerobic exercises like fast walking or jogging may help reverse some heart damage from normal aging. 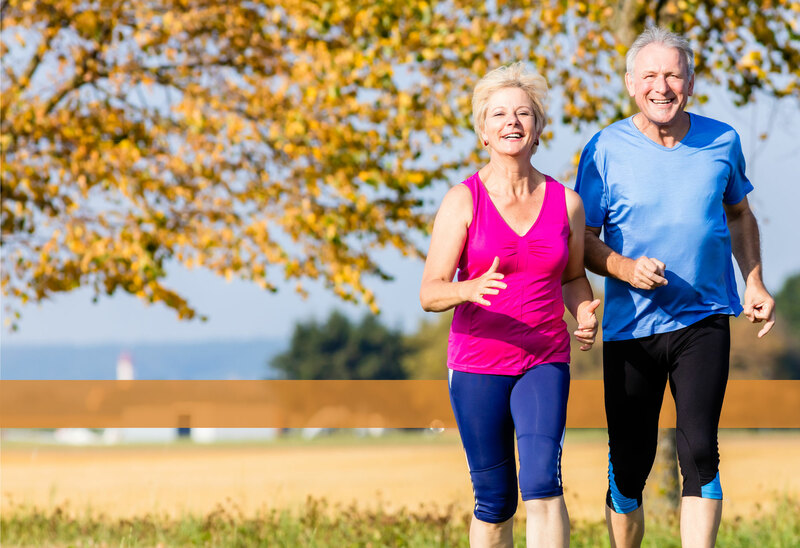 Many of us become less active as we age. Over time, this can lead to the stiffening of some muscles in the heart. A recent study split 53 adults into two groups. 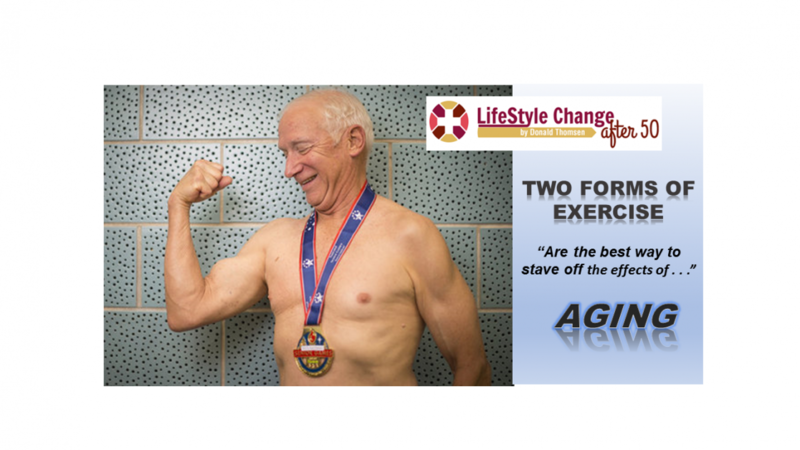 One did two years of supervised exercise four or five days a week, while the other did yoga and balance exercises. At the end of the study, published in January in the journal Circulation, the higher-intensity exercisers had seen significant improvements in heart performance, suggesting that some stiffening in the heart can be prevented or even reversed with regular cardio. “Based on a series of studies performed by our team over the past 5 years, this ‘dose’ of exercise has become my prescription for life,” Benjamin Levine, a professor of internal medicine at the University of Texas Southwestern who wrote the study, said in a statement. Sensible strength-training moves are best for preserving muscles from age-related decline. The exercise used should be performed slowly and gently, with a high degree of focus and attention paid to breathing deeply. Since practitioners go at their own pace, these types of exercise are accessible for a wide variety of people, regardless of age or fitness level. Another benefit to older people improves balance and is an important component of fitness, and balance is something we lose as we get older. Starting in 1968, neuroscientists from the University of Gothenburg in Sweden studied 191 women whose average age was 50. First, the researchers assessed the participants’ cardiovascular health using a cycling test and grouped them into three categories: fit, moderately fit, or unfit. Over the next four decades, the researchers regularly screened the women for dementia. In that time, 32% of the unfit women and one-quarter of the moderately fit women were diagnosed with the condition, while the rate was only 5% among the fit women. “We now have strong evidence that encouraging people to commit to regular exercise throughout their lives is a viable solution to the problem that we are living longer but not healthier,” Janet Lord, the director of the Institute of Inflammation and Aging at the University of Birmingham in the UK, said in a statement.